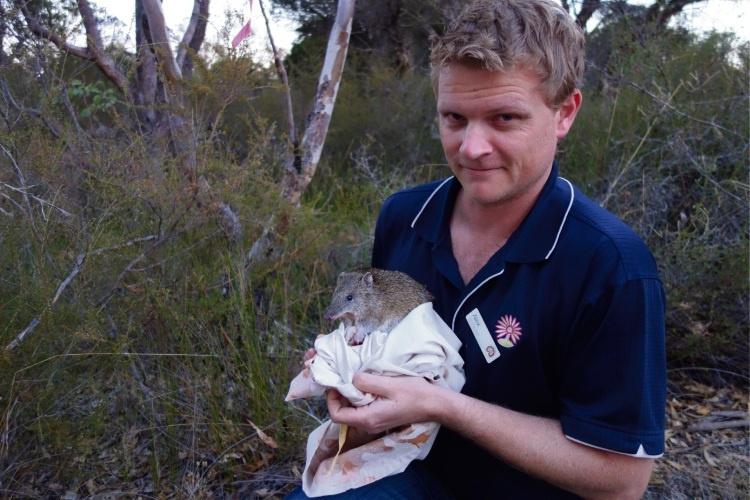 City of Bayswater natural area management officer Alex Devine with a bandicoot. CITY of Bayswater’s sustainable environment unit has started a four-week study of the Australian bandicoot in Lightning Swamp in Noranda, in a bid to protect the declining population. Officers will microchip and monitor the bandicoots, which will assist them in determining whether the bandicoots are under threat and if measures are needed to protect them. Mayor Dan Bull said the bandicoot, or quenda, were often undetected in bushlands. “Bandicoots play an integral role in keeping bushland healthy by aerating the soil, dispersing beneficial fungi and aiding in water penetration,” he said. “Their presence highlights an area is likely home to a range of other species with similar needs, as well as those linked to them through the food chain. Cr Bull said with the bandicoot population in Perth gradually under threat from development and land clearing, people needed to ensure they were protected. “Many people living on the fringe of bushland are completely unaware they are sharing their gardens with the quiet and illusive creature but they do leave cues,” he said.